Lok'nStore has self storage centres in many other locations, the closest being Fareham or Chichester. Lok’nStore at Rudmore Square, Whale Island, is 2 minutes from the International Port; less than 2 miles from Gunwharf Quays, Spinnaker Tower and the University of Portsmouth, and Pompy Football Club at Fratton Park is just 2.5 miles away. From the M27: leave at junction 12, exiting onto the M275 toward Portsmouth (W) / Sea port. Just as you see our big orange building, keep an eye out for the left exit toward ‘Cross Channel Ferries / North End.’ At the roundabout, take the 4th exit onto Wharf Road. Turn left to stay on Wharf Road. Take a slight right into Rudmore Square and you’re at Lok’nStore , we’ll get the kettle on. Our Portsmouth storage centre is managed by Erica Gibson, who has been with Lok’nStore since March 2010, when she started over at our Southampton site. Erica is very experienced and knowledgeable about all things ‘ self storage’ having worked in the industry since April 2005. This facility has over 800 storage units ranging in sizes from small 16 sq ft lockers, up to massive 2000 sq ft spaces available to rent. Located just off the M275 at Whale Island, it guarantees you the lowest priced self storage in Portsmouth: Lok’nStore will not be beaten on price for comparable storage. This facility provides self storage to household and business customers, students and members of the armed forces and we are ideally located for easy access from: Clanfield, Cosham, Denmead, Denvilles, Drayton, Emsworth, Farlington, Fratton, Hampshire, Havant, Hayling Island, Horndean, Paulsgrove, Petersfield, Porchester, Rowlands Castle, Southsea and Waterlooville. 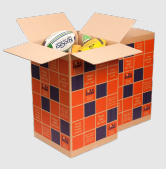 Lok'nStore also has storage centres in the nearby locations of: Chichester and Fareham. What does storage at Lok'nStore Portsmouth cost? Costs for storage at all our stores vary, depending on how much space you need or want, your method of payment, and how long you want to store with us. 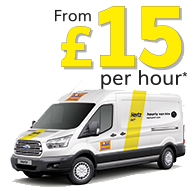 Please call or visit us today - our friendly staff are ready ‘now’ to help you find the right solution to your storage problems. You can also get an instant quote for storage by clicking on the green ‘Get a quote or book’ button to the right. All prices at Lok’nStore include VAT. Did you know? 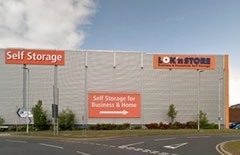 Lok’nStore has had a storage presence in Portsmouth since March 1999, but has only been at this modern purpose built store since 2008.